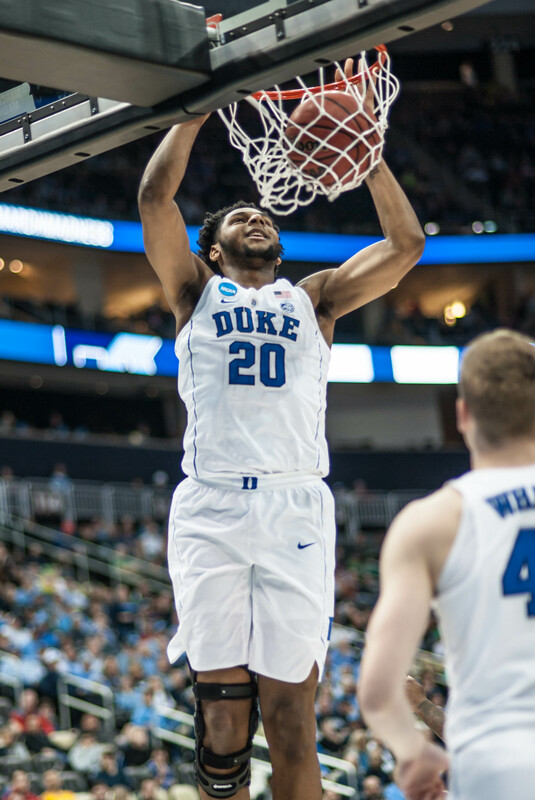 One of the players who will play a significant role for next seasons Duke Basketball team is Marques Bolden. 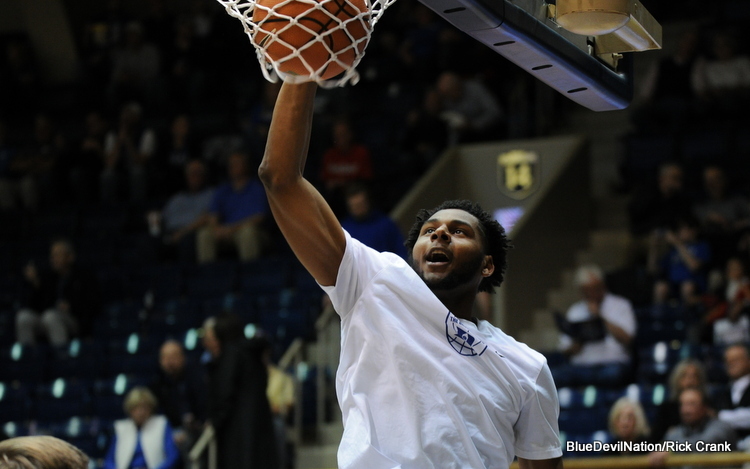 The DeSoto, Texas native has trusted the process since choosing to play for the Blue Devils. And that trust will likely pay off with a starting role next season where Bolden is the clear-cut best true big man on the roster. While many players have chosen to test the waters in the NBA Draft, Bolden did not. Instead, his focus will be to improve his game in the off-season to take advantage of the opportunity at hand. Bolden has at times been hampered by injuries during his Duke career. He missed some time this past season mending a sore knee. Prior to that, Duke announced a lower left leg injury prior to the 2016-17 season and Bolden never seemed to catch back up after having a solid pre season. When healthy, Bolden has shown flashes of brilliance. Coming out of high school, it was easy to see the big man's potential. Bolden has the tools which allows him to float out for jump shots or work around the rim with power. In short, he is more than capable of being a force on the court, especially when he is beamed in and motivated. 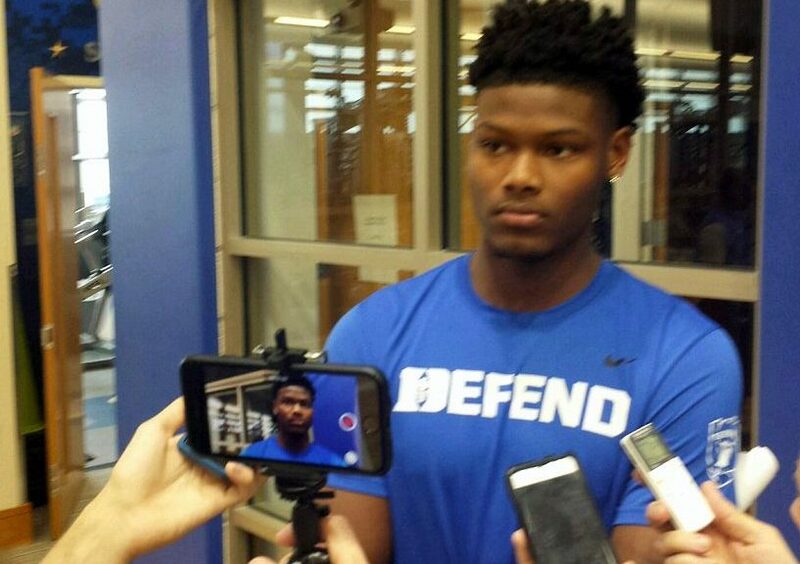 One thing that most fans do not see is the constant work that goes on with players at Duke. If one was to get to Cameron Indoor Stadium three hours before tip off, you might see Duke Assistant Coach Nate James working with big men like Bolden. 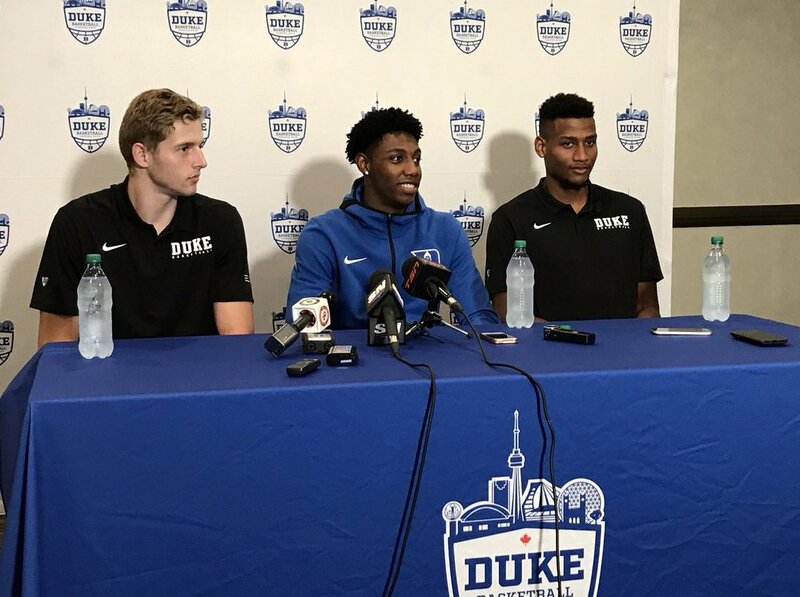 With all the grooming, trials and tribulations and lessons learned, this is Marques Bolden's time to shine. He will be depended upon to be a force in the paint, protect the rim on the defensive end while being expected to bag many rebounds. At this time, Duke is not especially deep in the post. 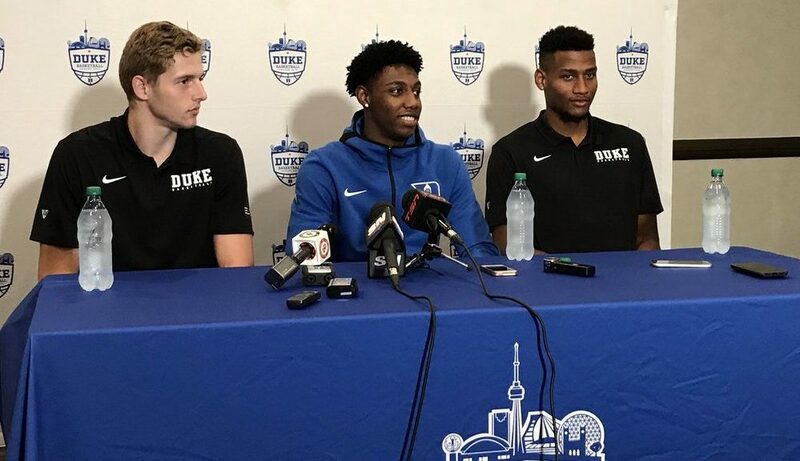 You will never see another tandem like Marvin Bagley III and Wendell Carter Jr. in the same season. And that means, Duke will be majorly dependent on Bolden and his teammates to make up for the departing stats. Another area Bolden will have to harness is a leadership role. 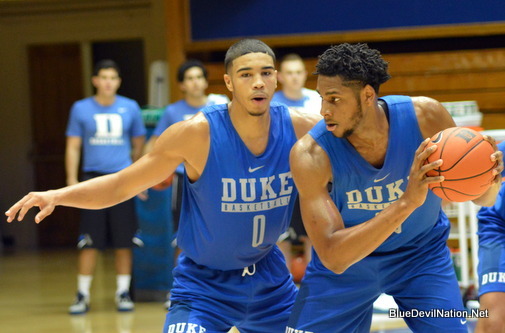 As a rising junior, he will be expected to teach the new guys the Duke way of doing things. The normally soft-spoken Bolden will likely show his leadership through his play where he needs to come back in the best possible shape once school begins. Come back in tip-top shape in that you will be playing major minutes. 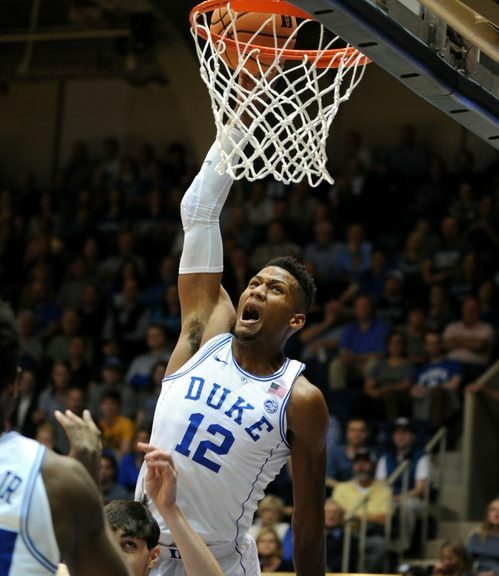 Work on not obtaining cheap fouls in that Duke will be thinner in the post and it will be important to be available throughout the entire game. Bring the intensity at a more consistent level rather than in spurts. Lead by example as an upperclassmen. Realize that you will be depended upon for a lot of clean up duty near the rim. 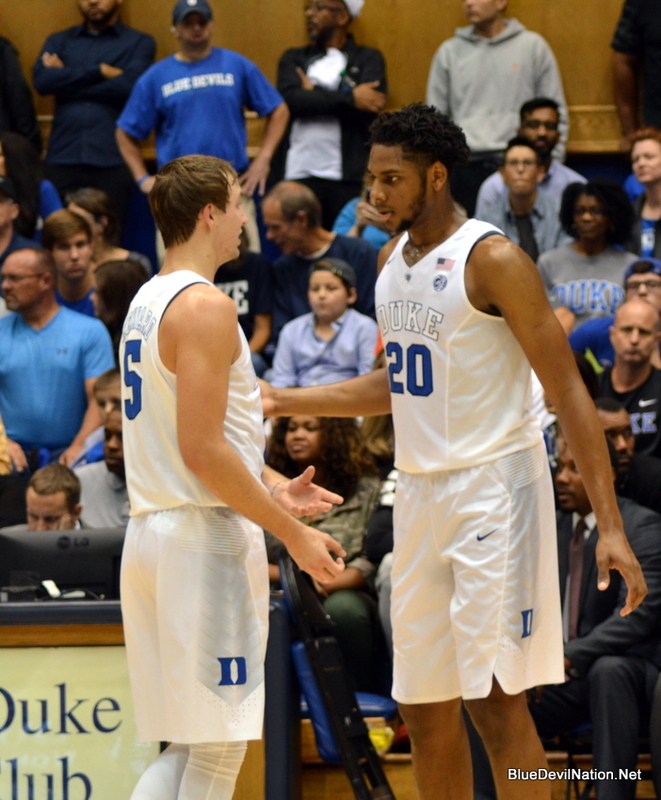 It will be interesting to see how Marques Bolden develops. It is his time to shine and I personally think he will take full advantage of the opportunity. 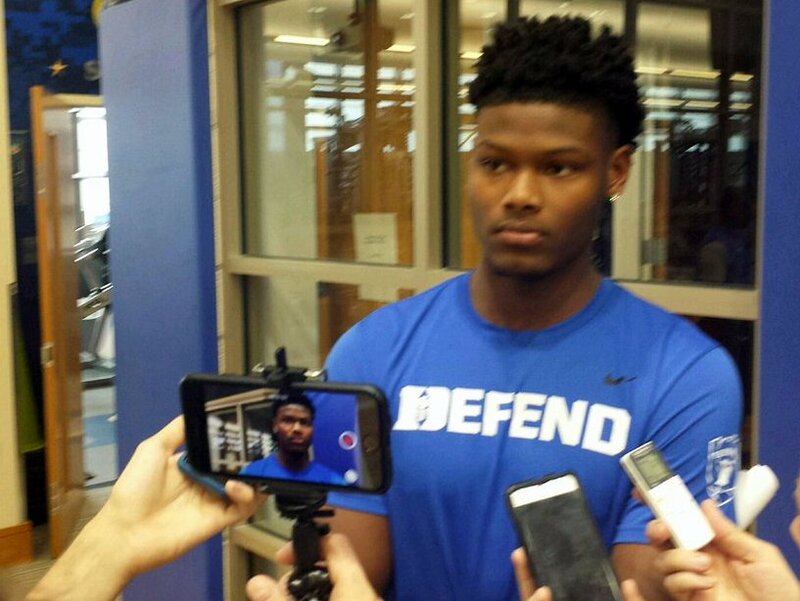 Javin DeLaurier and Marques Bolden will miss time for Duke. 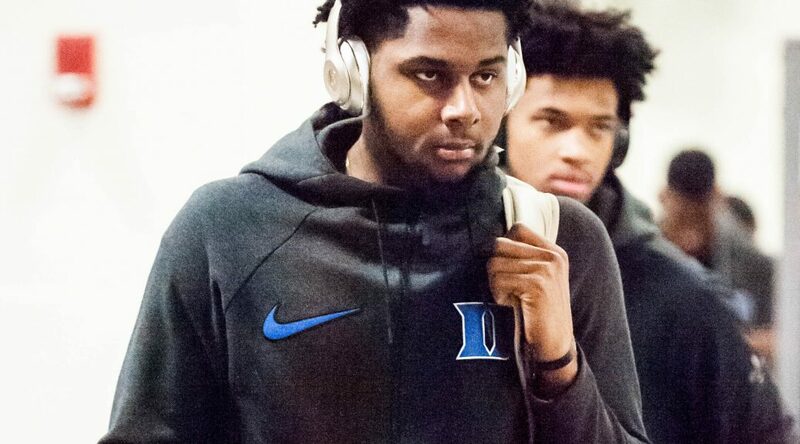 Marques Bolden will miss his second consecutive game when Duke takes on Pitt this Wednesday evening. And now we can add Javin DeLaurier to the injury list as well. Duke coach Mike Krzyzewski confirmed both players would be out against the Panthers in the Blue Devils next road ACC game. Bolden suffered an MCL sprain during a recent practice and could miss the Wake Forest game as well, per Krzyzewski. DeLaurier has been battled a hamstring injury for much the season. He missed Duke’s game against Evansville on Dec. 20 and has not played as many minutes as the staff would like. The sophomore forward will be day-to-day moving forward with concern to his return. Duke may look to Antonio Vrankovic to feel in for some minutes and the Blue Devils will once again be forced to play their starters significant minutes. 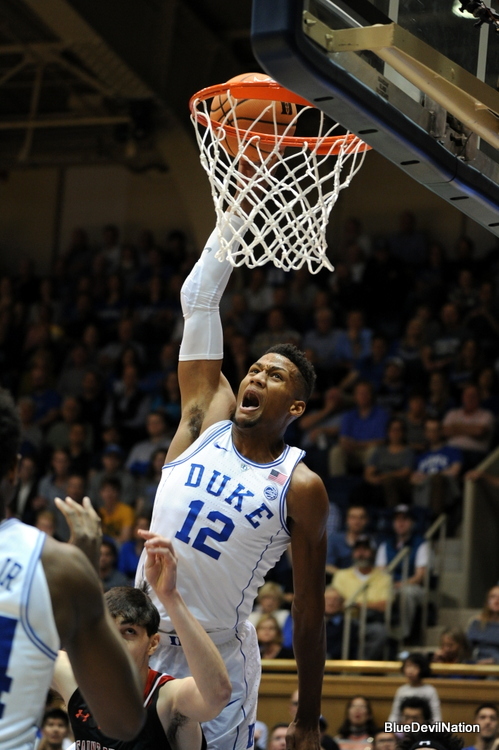 Duke will tip-off against Pitt at 7:00 on ESPN 2 this Wednesday. The Blue Devils stand 1-2 in the ACC and 13-2 overall. Duke is currently ranked 7th in the A.P. Top 25 Basketball poll. Pitt is seeking their first ACC win of the season and is 8-8 overall. 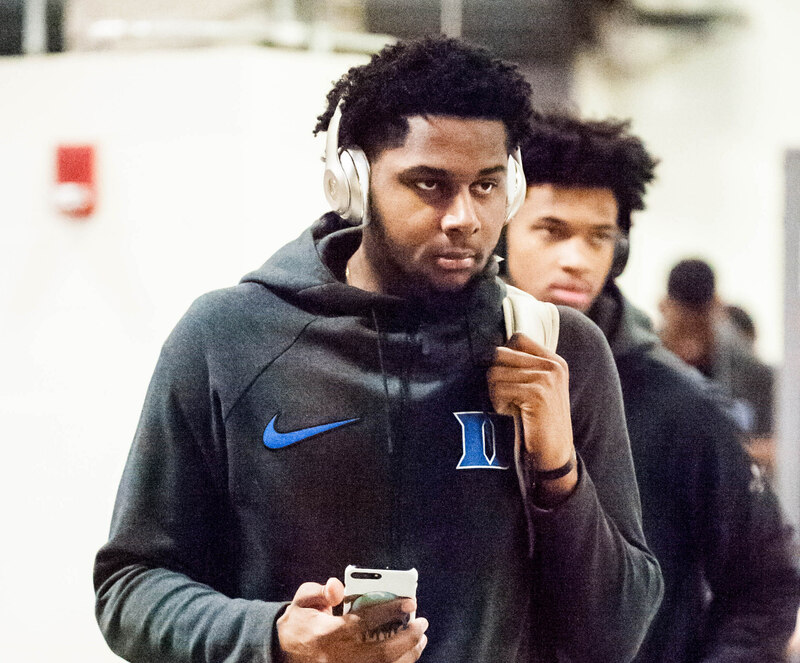 Marques Bolden will not dress for Duke tonight when the Blue Devils take on the N.C. State Wolkpack at PNC Arena in Raleigh, N.C.
Bolden is out due to an undisclosed knee injury per source.